States that have laws allowing police to temporarily seize firearms from people deemed to be at risk of danger to self or others have experienced a decrease in the number of suicides involving firearms, according to a report in Psychiatric Services in Advance. In recent years, several states have enacted laws allowing time-limited seizure of firearms, with a level of judicial oversight and due process, from people deemed to be at risk. In 1999, Connecticut became the first state to do so following a mass shooting at the state lottery headquarters. Indiana followed suit in 2005 after the fatal shooting of a police officer in Indianapolis. Aaron J. Kivisto, Ph.D., and Peter Lee Phalen, M.A., of the University of Indianapolis, analyzed the effects of Connecticut and Indiana’s firearm seizure laws on firearm and non-firearm suicide rates. They used suicide data from 1981 to 2015 in all 50 states to construct a synthetic model of characteristics and suicide trends prior to enactment of the firearm seizure law to compare with trends after enactment. The authors found that Indiana’s firearm seizure law was associated with a 7.5% reduction in firearm suicides in the first decade following its enactment. Enactment of Connecticut’s law was associated with a 1.6% reduction in firearm suicides shortly after its passage; after the mass shooting at Virginia Tech University in April 2007, after which enforcement of the Connecticut law increased substantially, there was a 13.7% reduction in firearm suicides. 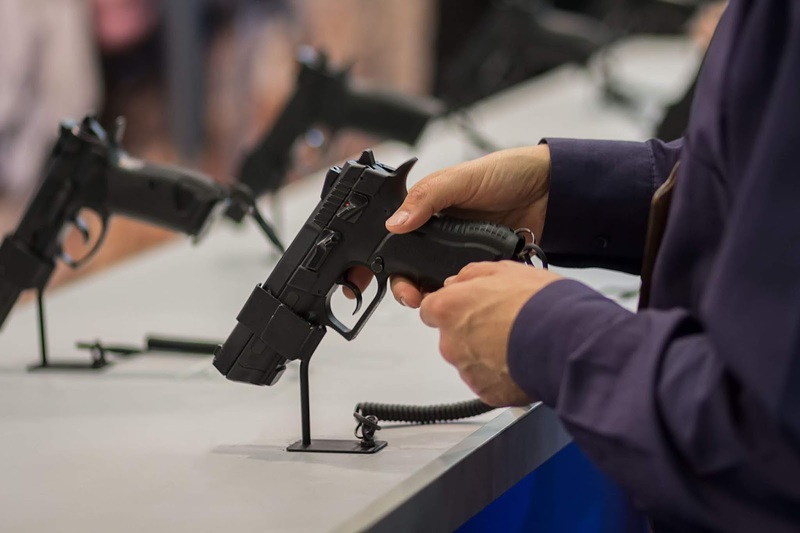 “Whereas Indiana demonstrated an aggregate decrease in suicides, Connecticut’s estimated reduction in firearm suicides was offset by increased nonfirearm suicides,” Kivisto and Phalen wrote. “Even though risk-based firearm seizure laws have typically been enacted in response to mass homicides, the laws have functioned primarily as a means of seizing firearms from suicidal individuals,” they concluded.